Are you searching for someone who sells and installs multi fuel stoves in Keighley, BD20, BD21 or BD22? Then look no further as the Leeds Stove Centre could be the answer! The Leeds Stove Centre is now one of the leading suppliers of Multi Fuel Stoves within the Keighley area. We offer the greatest choice of stoves in a variety of designs, styles and finishes. We have designs ranging from sleek modern colourful multi fuel stoves to traditional brass-handled stoves with tracery on the door windows. Our stoves don’t just look great in any home but they also provide a brilliant heat output, helping you to keep warm in those upcoming winter months. Many of our high quality multi fuel stoves are available to view working live in our purpose-built showroom in Leeds. By visiting our showroom you will be able to gain an insight to how a new stove would look in your home, plus gain fist hand knowledge of how to operate a stove efficiently. At Leeds Stove Centre we pride ourselves in supplying the highest standard of stoves that we can, at the best possible prices. Therefore, we only supply stoves from the manufacturers with a credible build quality, such as Charnwood, Stovax, Morso, Hunter, Dunsley and many more! With such a large choice of brands, with a variety of designs, we feel that you are certain to find your perfect stove. We are also able to offer a full installation of your chosen stove. Our directly-employed, highly experienced HETAS stove engineers can install your multi fuel stove and flue system to the highest of standards ensuring compliance with current regulations. Please call us on 0113 255 5622 if you have any questions or to discuss any particular products. 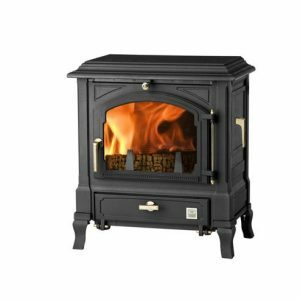 Leeds Stove Centre – Number 1 supplier of multi fuel stoves in Keighley.